Carbon Market Watch welcomes the opportunity to provide input to the APA discussions as they relate to the market mechanism agreed in October 2016 at the International Civil Aviation Organization (ICAO) 39th Assembly and adjustments needed to accurately harmonize the climate measure with ongoing work in the UNFCCC. 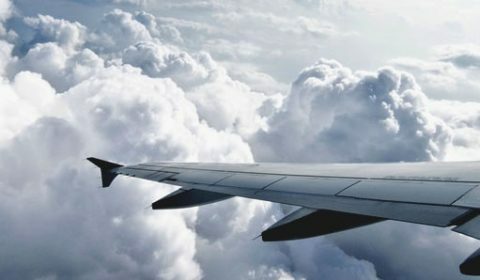 Carbon Market Watch, a project by Nature Code, welcomes the opportunity to provide its views to the European Commission on the Consultation on the policy options for market-based measures to reduce the climate change impact from international aviation. This submission presents the views of the Climate Action Network on issues related to addressing emissions from international transport. Carbon Market Watch highlights the need for careful assessment of international offset credits shall these be considered as an option for international transport mitigation efforts. CDM Watch welcomes this opportunity for input and stresses the need for the EU to act promptly and address shipping emissions in the EU to halt climate change below 2°C while it needs to take responsibility as a climate leader and influential party in the development of future international climate systems. Often EU’s decisions have served as blueprints for decisions on UN level. We believe that any legislation including shipping in the EU’s climate policy must reflect the best possible option capable to deliver real reductions within the sector first and with the highest possible environmental integrity while delivering real contribution to sustainable development. Our main comments include: 1) no international credits should be allowed into a maritime sector, 2) revenues for climate finance for abatement in the maritime sector should not come from selling international offsets and 3) at least 50% of revenues should be directed to the Green Climate Fund.